With the sprawl and dusty of Kampala fading in my rearview I navigate Doc around bicycles, pedestrians, cows, donkeys, trucks, and throat-clogging and eye-burning puffs of diesel smoke until coming to the bridge that crosses the Mighty Nile where the mighty river sources its water and Lake Victoria. I’ve made it from the bottom to the top of the largest African lake. 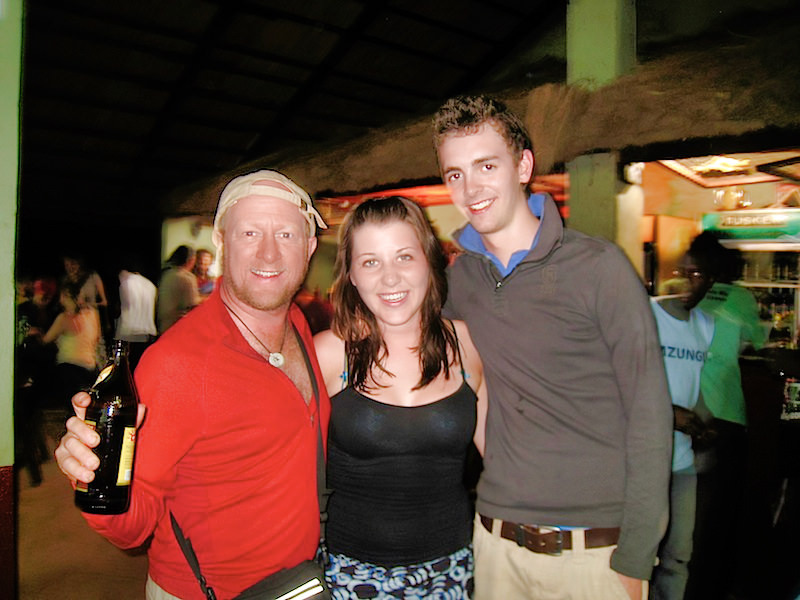 And before crossing into Kenya, there is one thing I’ve long dreamt of doing: white water rafting the ferocious Nile. 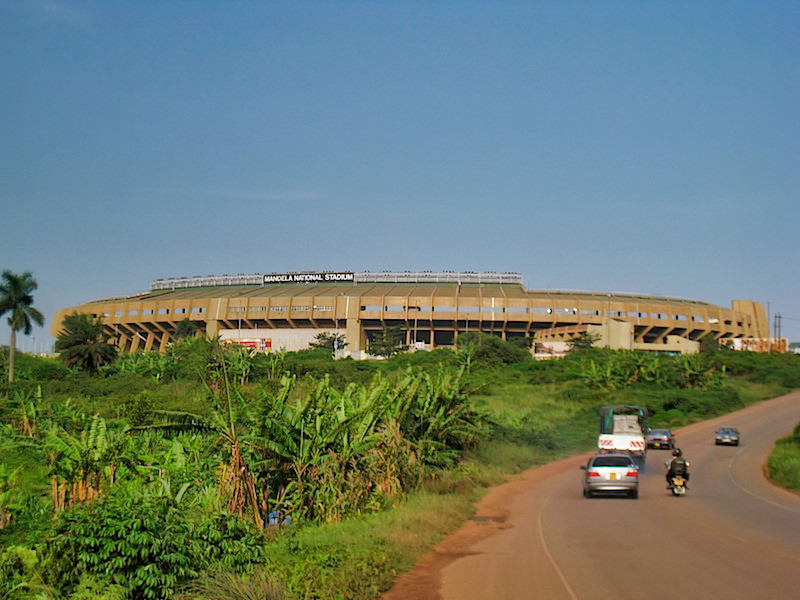 Passing the Nelson Mandela Stadium, I leave the noise and dirt of Kampala behind and head for the River Nile. 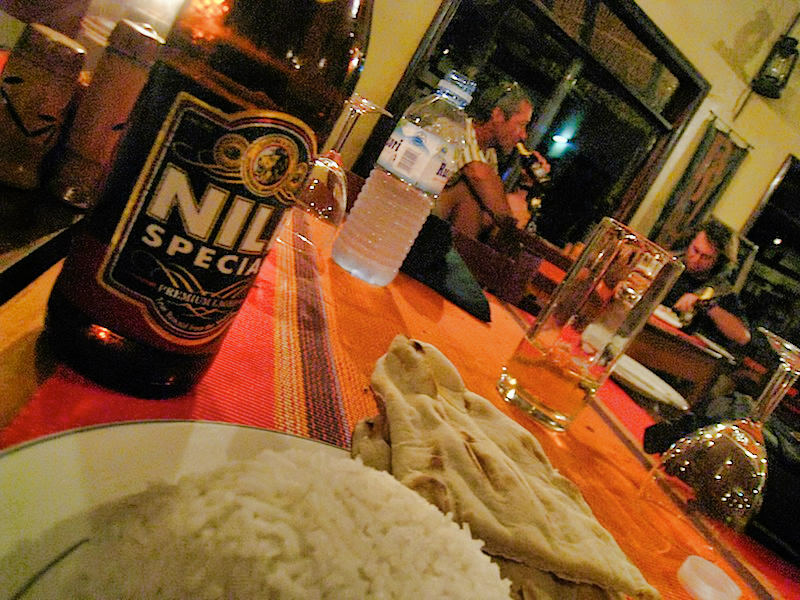 Some Nile River seafood, a Nile Special cold beer and scenic Nile sunset provided me with my “last” meal before heading down the Nile. Nile River Explorers uses 8-man inflatable rafts which includes the guide and “captain.” My group consisted of two American missionaries, an elderly Canadian woman and a couple from Australia. The two missionaries opted for a half-day river ride and therefore would be dropped riverside in the early afternoon. We went through the normal initiation and training exercises, forcibly causing our raft to capsize and mimicking getting stuck under the thing. 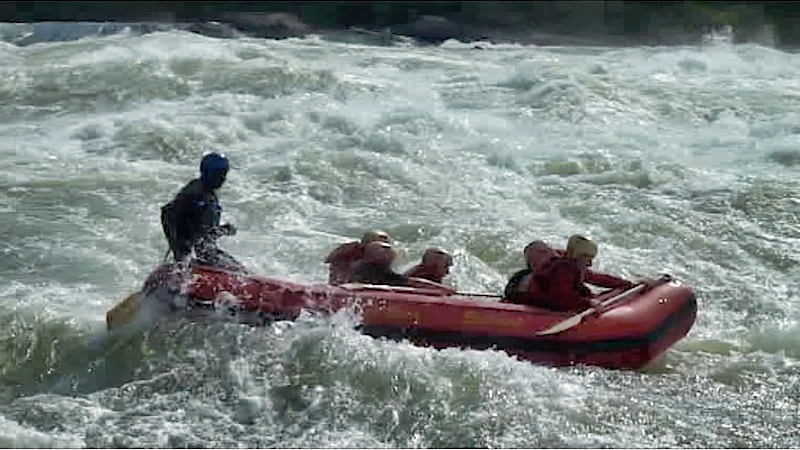 With everyone trained to keep their hands on the paddle ends we headed for our first class-5 rapid which all of us, save the Aussie chick, managed well. 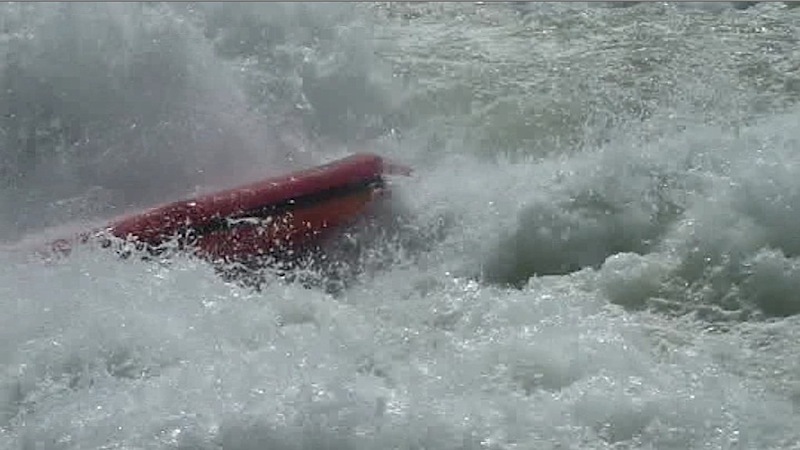 The girl somehow popped out of the raft, but a team of kayakers provided her with the support and eventually got her back to the boat. After a few more sets of rapids we stopped, jumped into the mighty Nile and floated down the river while the support group sliced fresh pineapple and served us a snack of biscuits and fruit. Losing the missionaries, we continued through rapid after rapid the rest of the day. 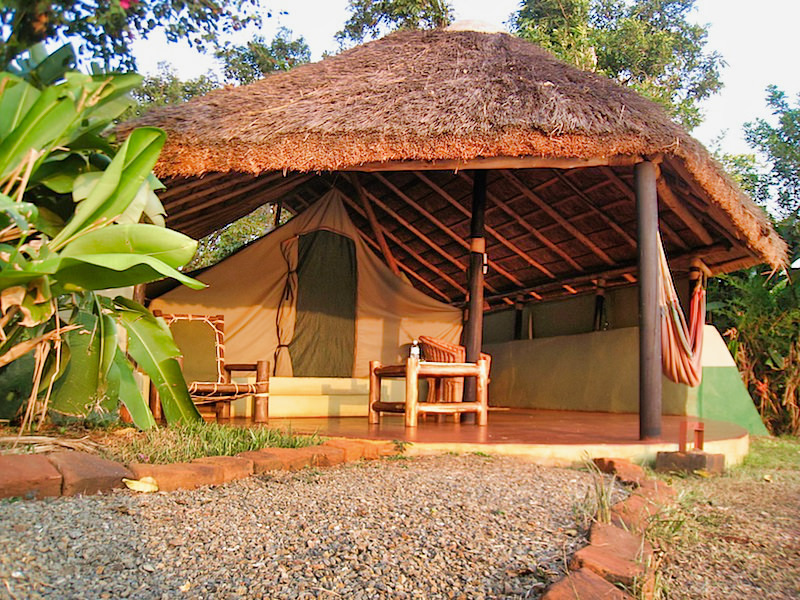 My tent overlooking the bluffs above the River Nile. 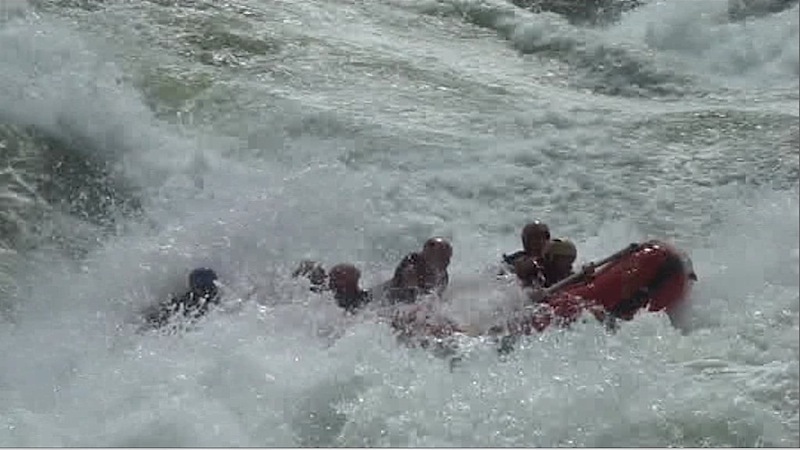 Of the five groups in the same number of rafts on the Nile this day, we were the only group to safely raft through a tough class-5 that dumped us over a nearly 5-meter high waterfall. 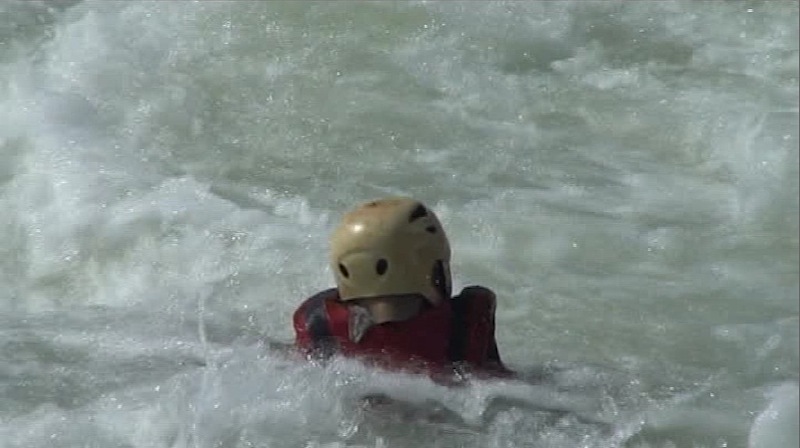 Most all were ejected from their rafts while one group taking a safe approach got stuck on a rock and required a tedious rescue procedure to move everyone down the waterfall where they were reunited with the raft a few meters down the river. They never experienced the thrill of the drop. But it was the last rapid of the day that saw this weary traveler hanging on for life — literally. 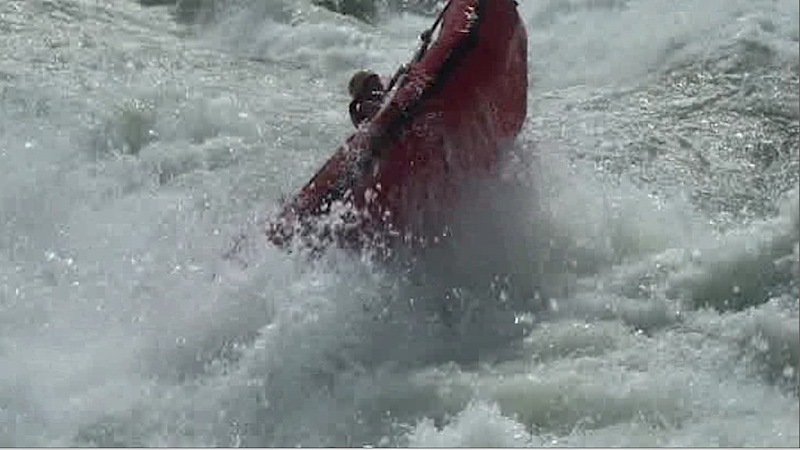 The rapid is actually class-6 white water that after a 100 meters or so softens to a class-5. 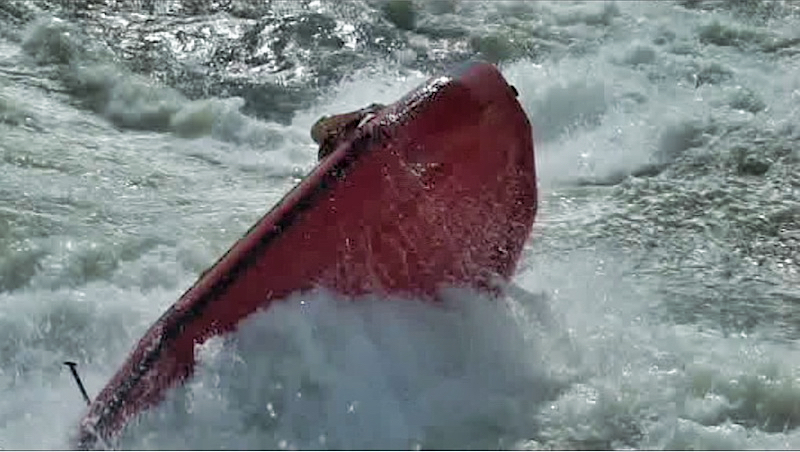 Too dangerous to ride the class-6, we must carry our rafts around the rapid by land and then relaunch the boats directly into the class-5. Told that there is a 50-50 chance that the boat will capsize we are offered the opportunity to take the easy way or to go for it. 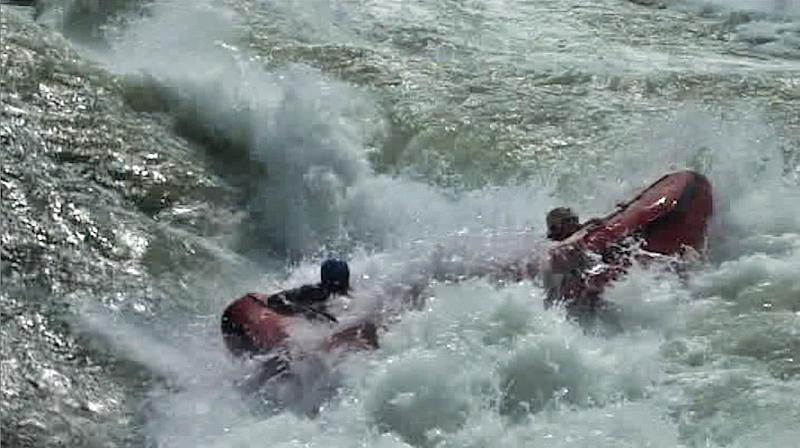 At the head of the boat and the self-appointed ring-leader, I convince our group to “go for it.” And when we do, we run directly into a wall of water nearly twice as high as the boat. At this first pounding, our boat is sent straight up and frighteningly vertical at which point all of the passengers are ejected from the boat, except the captain in the rear and me in the front. Hanging on we brace for the second wall of water which sends us up again and then like the fingers of a giant, flips our boat and then spins it around. Still in the boat when it’s tossed, the swirling of the white water spins the little toy upside down while my foot is planted on the floor. 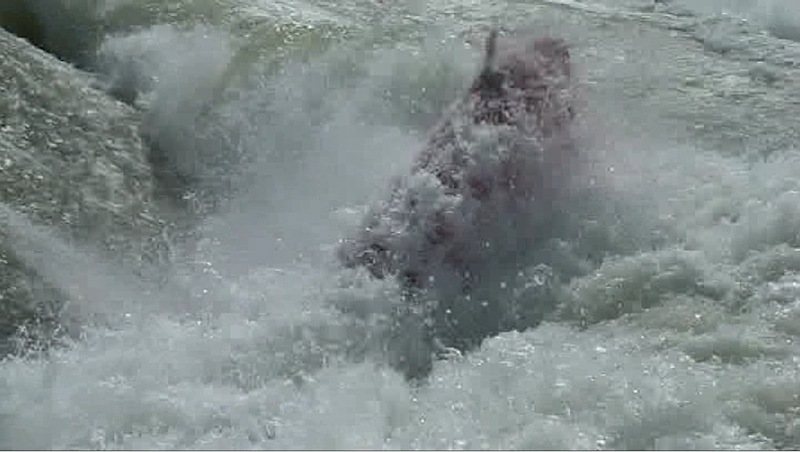 This twisting motion sends jolts through my knee as I got under the rushing water. I lost count after nearly 7 seconds wondering when I’d surface. In training, they said you’d never be under more than 5 seconds. I’d broken that record or forgot how to count. I’m not sure. But then I popped up. 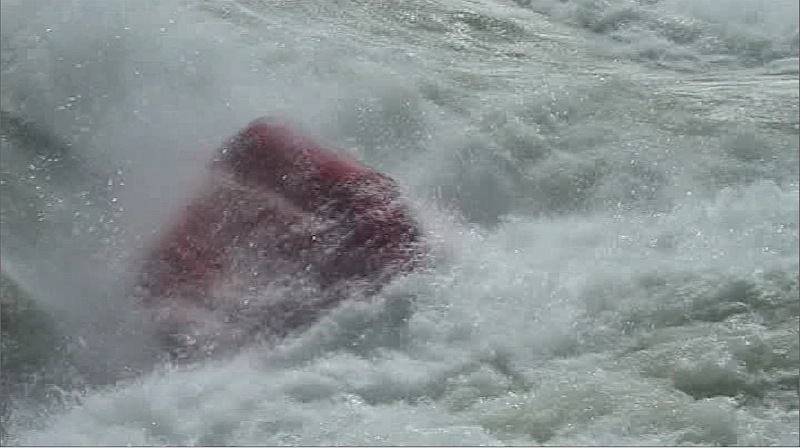 I could spot several rafts on the side of the river as I was whisking downstream. Screaming and yelling and paddles were waved at me. 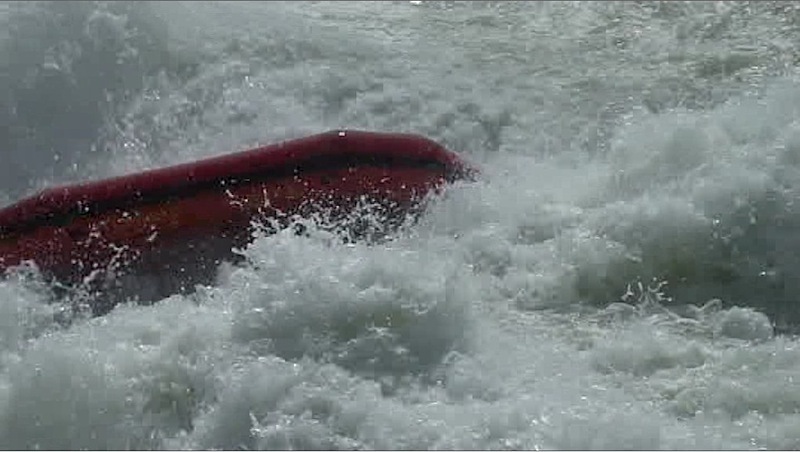 Frantically I began making for the shore and in a few seconds was muscling into the safe haven of another raft. 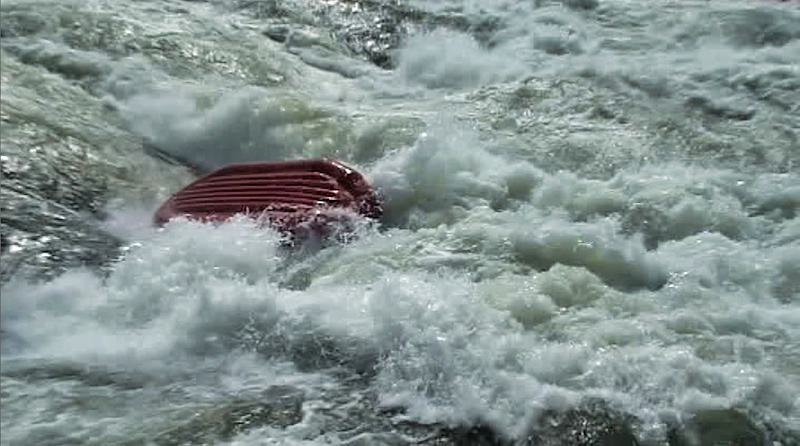 “Wow,” one of the girls in the raft exclaimed as I caught my breath, “that looked scary but amazing,” I was grabbing my knee as the throbbing absorbed my thoughts. 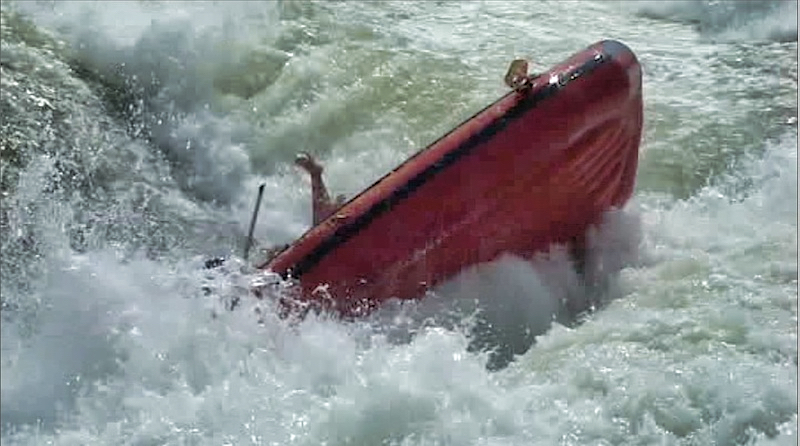 Later that night, after a barbeque and beers with the entire group that rafted, we watched the video of what everyone called the “coolest crash of the day.” It must’ve been because the video editor used it no less than five times in the short video of our days raft trip. 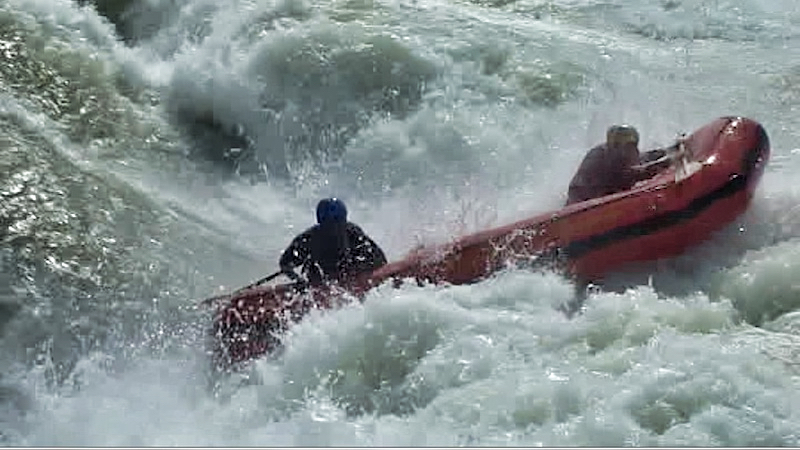 There you can see me holding on through the first massive wave and then my little head eventually bopping in the white water. 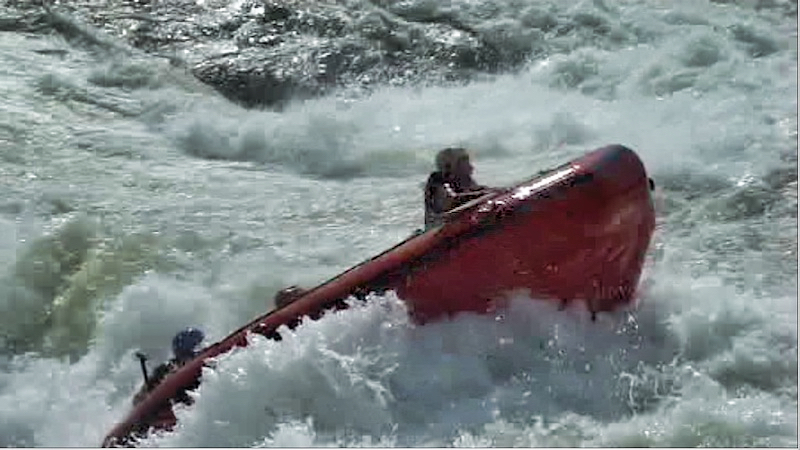 Five us in the raft attack the last class-5 of the day. On the far right above you can see me holding on but keeping my head up. We hit the first low wave sideways, I’m still holding on and we come smashing down witheveryone still on board. 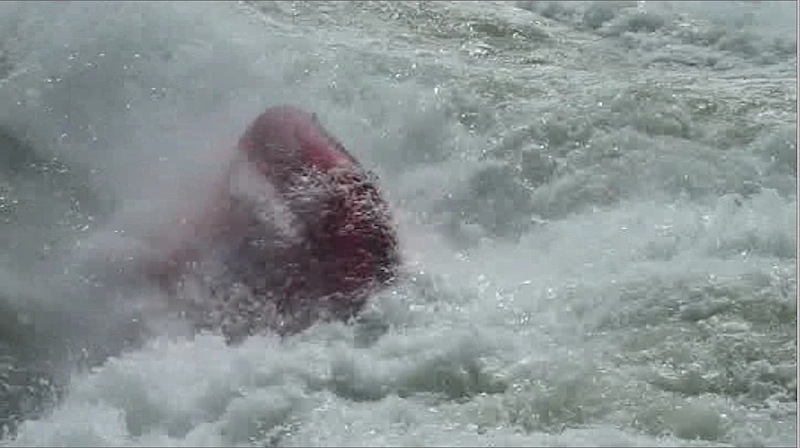 Then we get blindsided as we go into a deep cavity before getting slammed by the next wave. Everyone gets thrown out of the boat but both the captain and me hang on and ready to brave the next one. Then we get tossed and spun. 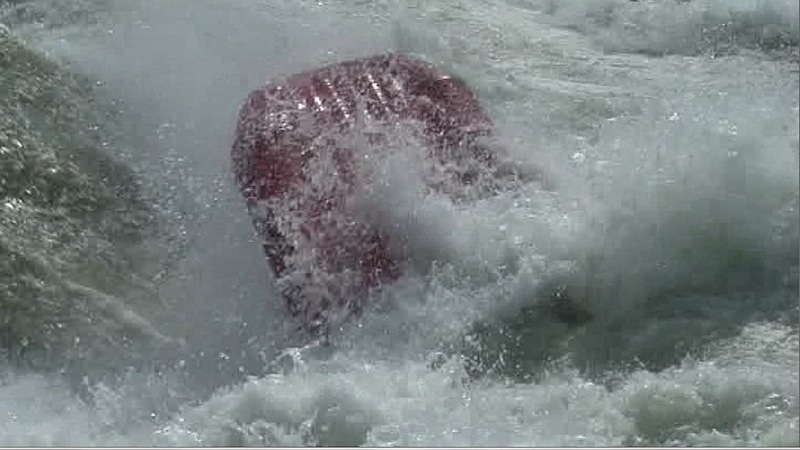 I’m under the raft until it spins me around causing an excellent case of twisting ye olde knee. The boat drifts. Where’s Allan? Then the little helmeted head pokes up and I survive. But my knee lives to tell a different story. Ouch. At the post rafting BBQ and video world premier with my Aussie raft-mates! I slammed an 800mg ibupropen before bed, and eager to hit the road at the crack of dawn, I watched the sunrise over the nile to a cocktail of warm water and another 800mg of pain relief. The knee was badly swollen. Rubbing my fingers around it, I felt a gooey mass than can only be described as jello under my skin. I was really worried. The knee hurt, despite the pain killer, and the damage was to the all important left leg — the one that must bear the weight when getting off the side stand and when shifting. It’d be a long day today including a border crossing with two immigration and customs stops. I’d be riding through what has been described as the war-torn northwest section of Kenya — where most of the violence and killing occured after the ill-fated post-election violence that had plagued Kenya until just a couple weeks ago when the opposition party agreed to a coalition government. Not sure if the populace was comfortable with the plan, I knew that I HAD to be in Nairobi prior to nightfall. Tough surroundings and an appointment first thing in the morning at BMW. I had to make it. And the day would take me through some of the toughest roads in Kenya. All of this with a wobbly and pain-ridden knee. Ah. But the White Nile? 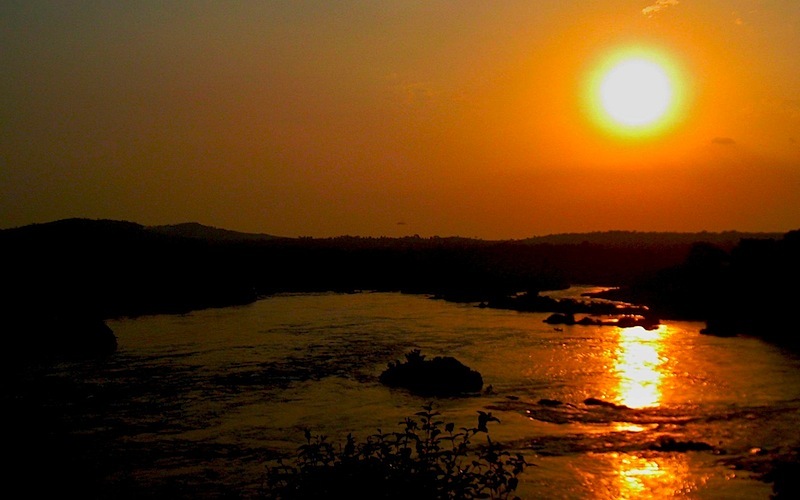 The mighty White Nile! I rafted it. But today I pay my penance. What can we say? Wow! 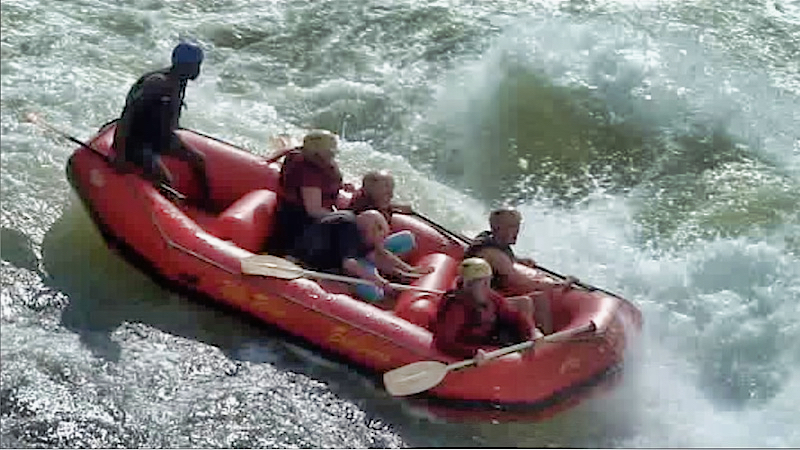 Whitewater rafting on the Nile. Wow! And class 5 rapids no less! Holy guacamole! You are the brave one and now you have the knee to remind you! Take of that brusing (I’m sure it’s all but completely better by now). Live free and ride hard our freind! (But carefully, oh so carefully!) Cheryl and I can’t wait for the book! Hardcover and lots of your beautiful pictures and wonderful prose! Eric, Cheryl, Ethan, Rachel, Roxanne. Hey Boet!! SoundS awesome!! Pity about the knee, but you’re no spring chicken any longer!! Rough trails throw up rough results sometimes… Go well… We’ll talk soon. Still keeping up with you! Do you miss chimichurri yet?